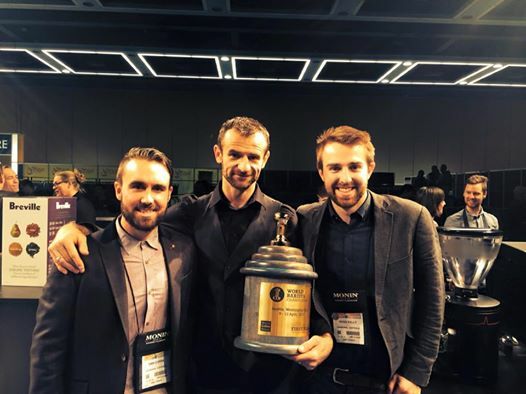 ONA Coffee founder Sasa Sestic has been crowned World Barista Champion at the World Barista Championships in the United States this morning. The long-term Canberran is the first Australian to win the title since 2003, beating finalists from the United States, Canada, China, the United Kingdom and France to do so. It was Sasa’s first time representing Australia at the event, following his success at the Australian Barista Championships last month. Congratulations Sasa, I was told about you by a Melbournian last month when I said I was from Canberra. Nice to get some respect at last for our fair city! Well deserved. The reason I keep going to any of the ONA places for coffee or even places that use ONA beans is because of the passion Sasa put into his business in Canberra. I kind of want to taste the signature drink now. Also ONA do train their baristas really well. Most of them know their stuff when it comes to making coffee.